If you are already a good shop with reasonable equipment the cost to get into the HEV business is a lot less than you may think. The ROI is quite good. Here is how I see the numbers. Remember I was a shop owner for 25 years and a management trainer since 1995. Average HEV owner makes over 107K per year. The Owners of those cars have other cars as well. If you do a good job you will get all their business. Cost to get into the Toyota HEV business. Read this Prius. TechStream Lite factory scan tool, level 2. $1,500.00 plus laptop and $1,000 per year. Complete training package with ACDC $4,700.00 for our 6 day class. More equipment, Milli-ohn meter ($400), Insulation tester ($400). Add Ford, Honda and GM as you buy the factory scan tools. Total cash outlay and time equals $ 10K Plus the first year spread out over 12 months. $850.00 per month. This number may be high. If you pick up 20 Prius customers, 5 Camry HEV and few Lexus and and other Toyota HEV owners over the first year you have a total of 35 new customers that drive a HEV. 35 people spend $500 per year average. That is $17,500 extra gross. If you work at a 20% margin, you have $3,500 profit the first year on a $10,200 investment. The second year you are better at what you do. You are faster and better at estimating. Those 35 people turn into 100 customers, still at a $500 average per year. Now you have $50,000 extra gross and a new customer base. 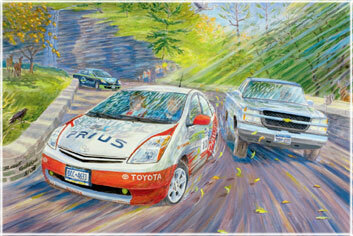 Some will buy a LEAF or VOLT. The average EV owner makes $177,000 per year. They also drive HEVs. So now the next logical thing to do is offer service to EV owners but they won’t need much. But they will need a place to charge up. It is simple and affordable to a offer this to your customers. 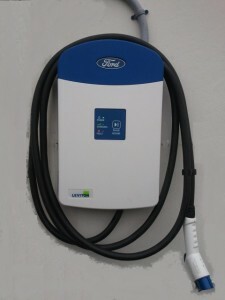 Cost to buy a low end 220v Level 2 charger, $500- $900.00 plus installation. Plug-In Prii (plural for Prius) are selling pretty well. Charging Station at every Ford Dealership. What about you?